Do you have – or know someone who has – thyroid issues? 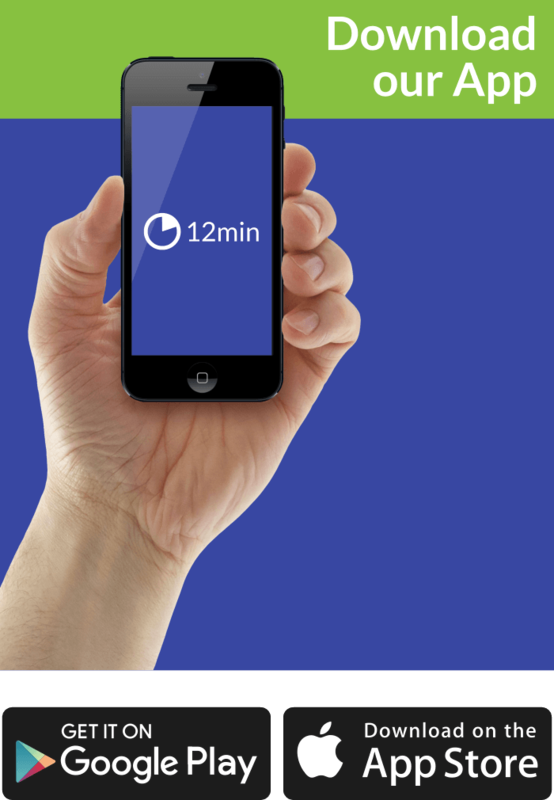 Are you willing to try alternative methods to fix them? Then, Medical Medium Thyroid Healing is the book for you. Who Should Read “Medical Medium Thyroid Healing”? And Why? We’ve already summarized quite a few popular medical books on our site, some of which we had no option but to label as “unscientific;” well, this one falls under the same category. Apparently, there are testimonials from people who say that the methods in this book have helped them, but, as always, we are skeptical. So, read this book only if you have thyroid issues and want to try alternative methods; otherwise, trust your doctor. Anthony William Coviello is a self-proclaimed medical medium. Even though he doesn’t have a medical license, he offers medical and health advice to people based on information he allegedly receives from a spirit from the future. He made his name as a “trusted expert” for Gwyneth Paltrow’s GOOP website, through which he gained an almost cult-like following: at the moment, he has about 1.5 million followers on Instagram and twice that on Facebook. He has authored five books so far: Medical Medium: Secrets Behind Chronic and Mystery Illness and How to Finally Heal, Medical Medium Life-Changing Foods, Medical Medium Thyroid Healing, Medical Medium Liver Rescue, and Medical Medium Celery Juice. For one, the author of the book is a self-proclaimed medical medium! To the surprise and shock of his parents, he revealed to him that his symptomless grandmother is suffering from lung cancer, which medical studies later confirmed. Ever since then, this Spirit speaks into William’s ears as if one would speak to a friend, filling him in on the symptoms of everyone around him. In other words, he’s both Dr. House from the future and that guy from that Black Mirror episode: he sees you, and he knows what you’re up against. To tell you the truth where science can’t. “To go with the facts and figures about thyroid illness in the pages to come,” he writes, “you won’t find citations or mentions of scientific studies that have spawned from unproductive sources. You don’t need to worry that this information will be proven wrong or superseded, as you do with other health books, because all of the health information I share here comes from a pure, untampered with, advanced, clean source – a higher source: the Spirit of Compassion. There’s nothing more healing than compassion. The thyroid is still a medical mystery. The scientific studies about this gland are vague, and they lack conclusive answers about the cause of thyroid illness. Unlike many other areas of science, which are strongly founded in weights and measures, scientific thinking about the thyroid is still all theoretical – and today’s theories hold very little truth, which is why so many people are still dealing with thyroid illness. Scientific understanding and the thyroid don’t have a lot in common yet; they’re distinctly divided. And this division is best-evidenced in the lack of a unifying explanation of people’s thyroid issues; William considers all of the nine currently accepted as “possible causes” for thyroid-related diseases as myths. However, be aware that William doesn’t really have counter-arguments in more than one of the below cases; he thinks he knows better than all of these medical scientists because he converses with a Spirit from the future who has revealed to him that none of these theories are correct. And you can either believe him or not: his claims are unfalsifiable and would hardly survive more than a second in the mind of the skeptic. According to William, the very idea of autoimmune diseases (aka “a condition arising from an abnormal immune response to a normal body part”) is preposterous. How can the body attack itself? – William shrieks in disgust. In other words, even though there are at least 80 types of known autoimmune diseases, William firmly believes that our bodies never attack themselves; they solely go after pathogens. The reason why doctors believe in autoimmune diseases is because “frustrated with not having an explanation for why conditions such as Hashimoto’s thyroiditis, Graves’ disease, lupus, RA, Crohn’s disease, celiac disease, ulcerative colitis, and MS were leaving people ailing or even crippled,” the doctors from the 1950s invented the idea of the body attacking itself. The body never attacks itself; it solely goes after pathogens. Antibodies are signs that there’s a virus (or other antigen) in the body that the immune system is putting all its energy into fighting off. This process of a pathogen invading cells creates the inflammation. Your body works to fight off that pathogen. One day, medical science will take into account that by the time a virus has started to cause chronic illness in a patient, it has usually burrowed so deep into that person’s organs that the virus doesn’t show up on traditional blood tests—so it appears to be a bodily malfunction. Hopefully on the sooner side, though most likely far down the road, new tests will develop to find the virus where it’s hiding. And one of the greatest mysteries of the medical sciences: chronic illnesses. In other words, even though the doctors are “some of the smartest, most honest people around,” they are working within a “broken system” which teaches them to not be puzzled by many diseases which, in truth, are unexplained and still bewildering. You know how uncomfortable you feel when you’re in a relationship with someone, but all you can put as your Facebook status is “it’s complicated”? Well, the same holds true for doctors – or for any other human profession, for that matter! In other words, we don’t want to deal with the unexplained or the inexplicable; so, we usually put labels and feel a lot more comfortable afterward. However, if you have ever watched Dr. House, we’re pretty sure that by now you know for a fact that putting a wrong label over something is much more dangerous than not putting any label. Unfortunately – we can’t stress this enough – most doctors are working within a system which forces them to put labels even when they are not so sure. “Inflammation” is another label, and one of those which get thrown around just too liberally for William’s taste. “You see inflammation deemed to be the cause of everything from cancer to obesity to heart disease, and it’s a huge topic in thyroid illness and autoimmune disease,” writes William. And true, almost everywhere you turn, foods and supplements are being advertised as anti-inflammatory and many popular books advice against eating some foods because they are inherently inflammatory. Gluten, grains, wheat, etc. cause problems in some people, but not in others. According to William, that only the first group of people is susceptible is because they harbor in their bodies viruses which feed on the grains and fungi, resulting in inflammation. Once again, inflammation is a label which hides the real cause: viruses. You’ve heard this so many times: someone can’t lose weight, and someone else blames it on their slow metabolism; someone else is in tiptop shape, and a third person says that it’s all because of his/her fast, healthy metabolism. News flash: metabolism is just another label which actually hides the real problems. Metabolism isn’t “the driving force of mystery weight issues,” and neither is responsible for many autoimmune diseases. However, it’s a word that’s been just too accepted to be easily dismissed. It should be, says William. Whether your challenge is hypothyroidism, hyperthyroidism, Hashimoto’s, Graves’, thyroid nodules, cysts, tumors, or another chronic issue, know that your condition is not a judgment on your family line, or who you are as a person, nor is it a prison sentence. Genetics can play a role in illness. However, in the case of autoimmune and other chronic disorders, genes are merely a fraction of a single puzzle piece. There are so many reasons that people get sick that aren’t gene-related on any level. William calls the Unforgiving Four “the four outside factors that are the real problems behind chronic and mystery illness,” and considers it a Big Mistake on our part to ignore them. The Unforgiving Four are the viral explosion, radiation, DDT, and toxic heavy metals. Even though William ascribes only about 5% of thyroid issues to the last three (see below), we kind of agree with the essence of this one. Neither of these should be ignored; and, as far as we know, nobody has ignored either of these Four Unforgiving Outside Factors for at least half a century. The truth is, as developed science is, sometimes it just doesn’t have the answers or the tests to discover the real problems. It’s as unscientific as saying that you can heal yourself through the power of your mind; because, after all, if you can create a disease by merely thinking too forcefully that you have it, then why shouldn’t you be able to heal it through the very same method? Once again, William is more than right. 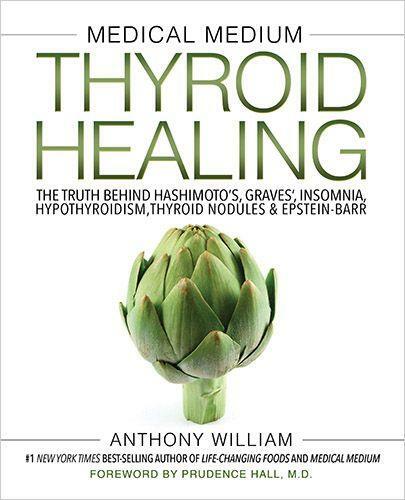 According to Anthony William – and, as the subtitle suggests, this is the main idea of this book – the true cause of all thyroid problems is a virus, more specifically, the Epstein-Barr Virus (EBV). William calls the EBV the “thyroid virus” for the simple reason that he believes it is responsible for 95% of all thyroid problems. According to William, the EBV has four stages, and medical communities know only about two of them: the baby stage (when the virus is dormant or quietly replicating), and the war stage (when the EBV evolves into mononucleosis and some minor diseases). However, it is the third stage, aka “the thyroid stage” which is really the problem and the phase in which the virus evolves into most of the diseases which are stated in the subtitle of William’s book. In other words, almost everything from fatigue and despondency to Hashimoto’s and Graves’ to fibromyalgia and chronic fatigue syndrome (CFS) to rheumatoid arthritis (RA) and multiple sclerosis (MS) to ADHD and depersonalization is caused by the EBV attacking your thyroid (or other organs) at a different stage of development. The problem is, stage three and stage four are undetectable by current testing methods, so doctors and people think that it’s autoimmune or mysterious diseases they’re dealing with. William’s Spirit says: no, God, please, no! Despite his sincere admiration for medical scientists, medical medium Anthony William claims that they’ve gotten everything wrong as far as thyroid-related diseases are concerned. And he dedicates the second part of his book to debunking the many (in his opinion) myths surrounding these diseases, calling them the great mistakes of medical science. According to Anthony William, neither of these is the true explanation behind your thyroid issues. In Thyroid Healing, William goes into great detail about what foods to include and what foods to avoid if you want to heal your thyroid. The trick (of course) is to not give the EBV anything it wants and to include in your daily intake the foods and supplements that could kill it. And, apparently, the EBV really likes eggs, cheese, and gluten; and it really hates artichokes. Other foods which starve EBV include apples, avocados, bananas, coconuts, dates, figs, garlic, ginger, lemons, mangoes, nuts, oranges, etc. etc. As far as supplements are concerned, among many other things, use vitamin B12, zinc, vitamin C, and spirulina (for some reason, preferably from Hawaii). To our eyes, Medical Medium Thyroid Healing does not seem like a science-based or science-backed book – regardless of whether we’re talking about present-day or future-day science. The final verdict: skip this one.